Canine hip dysplasia is characterized by varying degrees of hip joint laxity (looseness), subluxation (partial dislocation), and ultimately, severe arthritic change. Clinically, the symptoms range from having no clinical signs in some affected dogs to crippling disease in others. In addition, the severity of the clinical signs does not necessarily correlate with the degree of radiographic (x-ray) or pathologic changes seen. Breed and individual differences in temperament may also affect the amount of discomfort exhibited. Many factors work together to cause this disease, which is a combination of a dog genetically inclined to get this disease interacting with environmental factors that bring about the symptoms. Hip dysplasia is an inherited, developmental disease with a polygenic mode of inheritance. This means that there are multiple genes which must be present for this disease to express itself. Environmental factors are excess calcium in the diet of puppy food for large breed dogs, along with obesity, high protein and calorie diets, and a lack of or too much exercise. In most cases, dysplasia will occur in both legs. However, in some cases only one hip will be affected. A dog that has hip dysplasia in one socket is prone to having a problem with the ligaments of the knee in the other leg. Two radiographically examined sound dogs may still produce dysplastic offspring if the genes responsible for this disease are present. Besides the environmental factors, the degree of hind leg muscle mass is also related to the prevalence of dysplasia. Well balanced muscular support is necessary to maintain proper joint alignment. Weakness of the hip muscles can lead to adverse changes in developing hip joints. 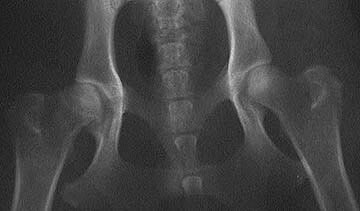 The primary abnormality in canine hip dysplasia is joint laxity. This may lead to inflammation within the joint and result in pain and lameness. This joint laxity in young dogs initiates a vicious cycle, wherein movement and weightbearing force the femoral head into an abnormal position. This causes interference with the ossification of the acetabular rim (hip socket), erosion and fibrillation of the joint cartilage, stretching of the round ligament, inflammatory changes in the synovial membrane, thickening of the joint capsule, and formation of osteophytes (bone spurs). The result is an abnormally shallow acetabulum and a flattened femoral head. Ultimately, the joint undergoes degeneration through this arthritic process. Symptoms depend on the degree of joint looseness or laxity, the degree of joint inflammation, and the duration of the disease. At an early stage of the disease signs are related to joint looseness or laxity. At a later stage of the disease signs are related to joint degeneration and osteoarthritis. Enlargement of shoulder muscles due to more weight being exerted on front legs as dog tries to avoid weight on its hips, leading to extra work for the shoulder muscles and subsequent enlargement of these muscles. 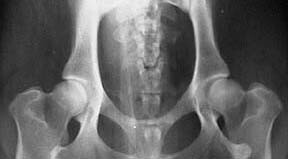 Treatment of hip dysplasia can be conservative or surgical. The objectives of conservative therapy are to relieve pain and maintain limb function, as well as to continue the dog in as normal a level of activity as possible. Conservative therapy consists of weight control, moderate exercise, and pain relief medication. The most important element will always be the maintenance of muscular support. Muscle is built by walking, jogging, and swimming. Activities that place higher pressure on joint should be avoided (e.g. 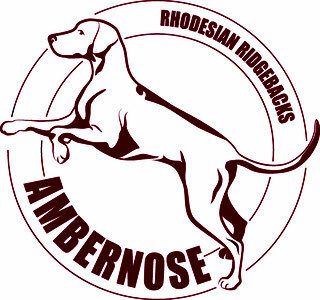 playing frisbee, agility, jumping, coursing, etc.). Several surgical procedures are currently used in the treatment of hip dysplasia, for example, pectineus muscle resection, triple pelvic osteotomy, removal of the femoral head and neck, total hip replacement. Selection of the treatment is based on assessment of severity of dysplasia and age of the dog.